January 12, 2019 | By Amy Occhipinti, M.S. Editor's Note: This post was originally published February 2015 and has recently been updated and revised for accuracy and comprehensiveness. We are all guilty of saying that we will commit to something that we eventually push to the side or lose the motivation to see all the way through. But when it comes to dramatically changing our lifestyles we need to maintain momentum in order to be successful and ultimately reap the benefits in the short- and long-term. The truth is, healthy and active people didn't achieve that lifestyle overnight. It's because they adopted the right habits that they've found success. And more importantly, they stick to it. So if your clients need a boost in the right direction, don't worry. There's hope. According to Jeff Haden, a contributing editor at Inc., people who aspire to be healthy don't start small with their goals. It's quite the contrary, actually; they go all in and as a result, they fail. "They change everything, which pretty soon results in not changing anything," says Haden. Instead of going from 0 to 60, encourage your client to start with small changes. Whether it's skipping dessert for a brisk walk after dinner or replacing an unhealthy breakfast option with a smoothie or fresh juice. The best way to help your clients achieve their goals is to simply ask them what they hope to achieve. Once you have determined their big-picture goals, you can take it slow and work on smaller, short-term efforts. If your clients are successful with smaller goals and they see that change, they will likely be more motivated to achieve a much larger goal in the long term. One of the best ways to help your clients make small changes is to teach them the concept of mindful eating. The core principle of mindful eating is to become more aware of the food that we put in to our bodies and how it ultimately makes us feel. 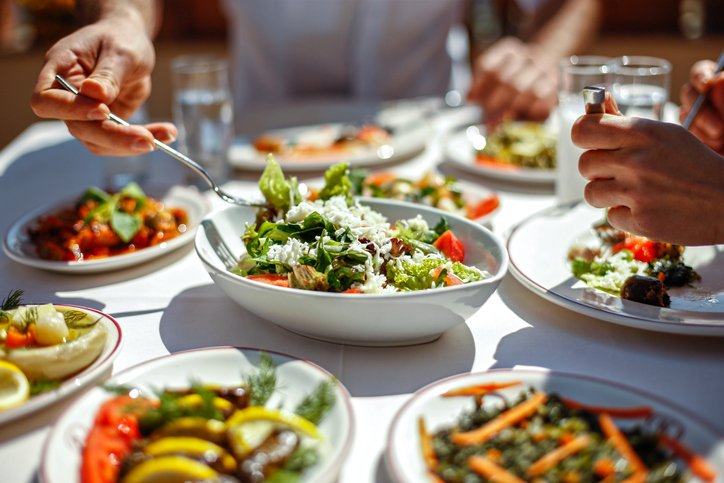 So while your clients may not be open to completely changing their diets at first, they may be more willing to switch from pizza to salads once they become more aware of how it makes them feel. Your clients may be able to run on just five hours of sleep each day, but can the hours they log each night have an impact on their overall health and performance? The short answer: absolutely. If you see a lack of sleep disrupting your clients' health, encourage them to make sleep a top priority. In fact, researchers at Health have found that insufficient sleep can raise an individual's risk of obesity, diabetes, mood swings, cardiovascular issues and other health concerns. Why do we often lose sight of our goals? Probably because its easy to get wrapped up in the day-to-day and forget all about them. Encourage your clients to jot down a few of their goals and aspirations on a sticky note or find images that remind them of their goals and place them in their offices, on their bedroom mirrors or on their desktops. Its easy to lose sight of goals if we have derailed them in some way. Just remind your clients that even if they have dropped the ball for a few days, that it doesn't mean they have to completely start over. And more importantly, stop the excuses and keep going. The end reward will be worth it. A workout doesn't have to take all day. In fact, just 30 minutes a day can help your clients achieve their weight goals. Whether it's taking time out of their day to go for a walk or an evening jog, just a little bit of movement each day can make a dramatic difference. Stay tuned for more tips on keeping your clients healthy and motivated, and check our of list of certifications to make a career out of it.